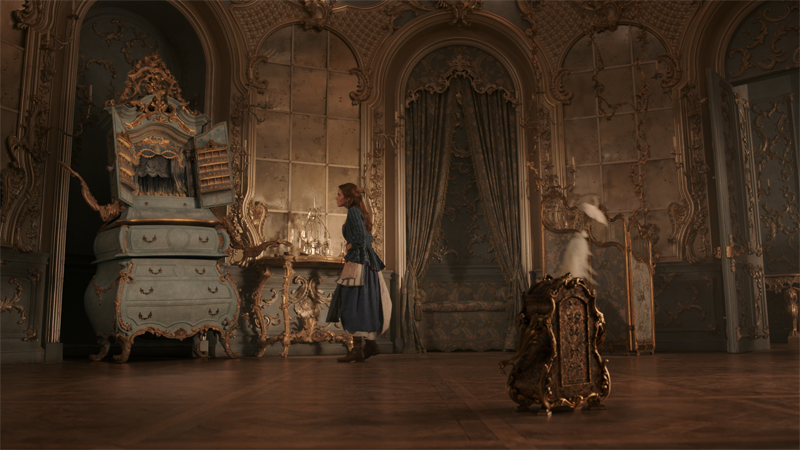 The tale as old as time, Beauty and the Beast, opens in theaters everywhere today! 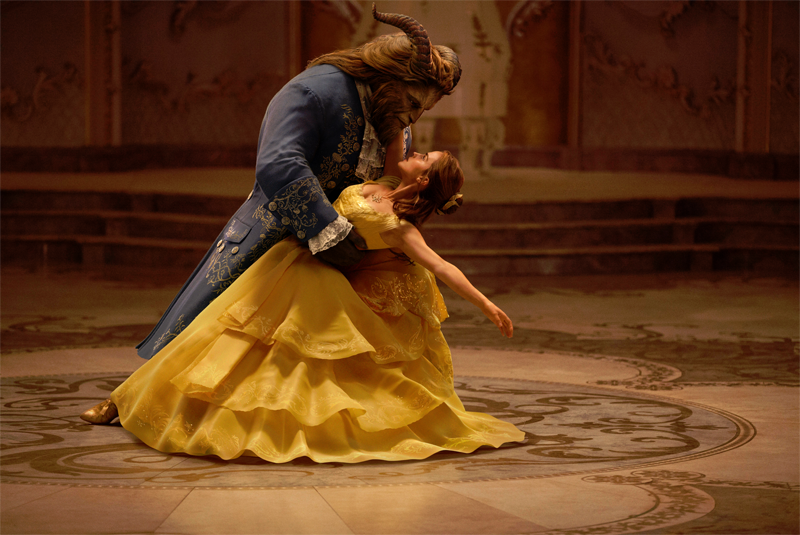 It’s the adaptation of the original Beauty and the Beast which we all fell in love with in 1991. I was only 11 years old when the original came out and can still remember watching it over and over. The new live-action movie now in theaters definitely does the original justice and is a must-see for everyone! 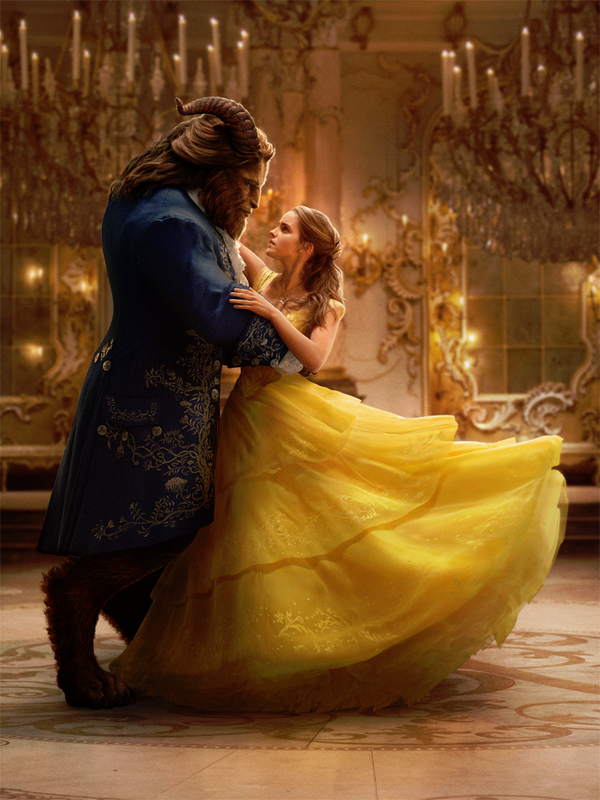 Beauty and the Beast is a Disney fairytale about a monstrous-looking prince, the Beast, and a young woman, Belle, who fall in love. It’s the perfect story to show how love really can conquer all. 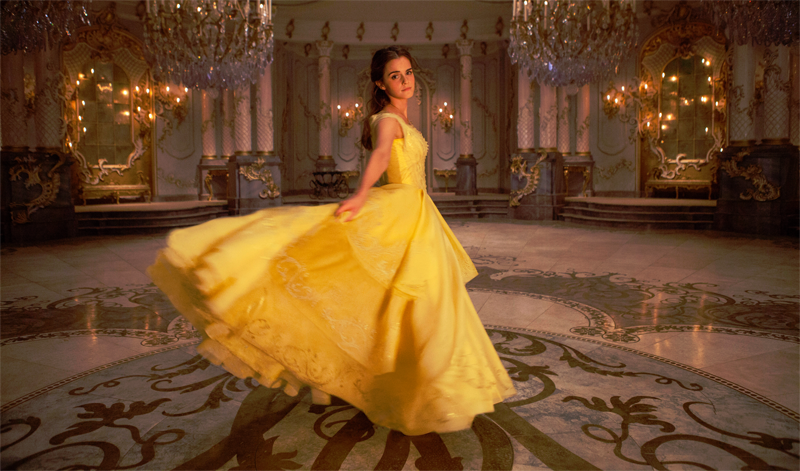 The movie centers around Belle (Emma Watson) who’s an educated, adventurous young man always seeking more than her French village has to offer. 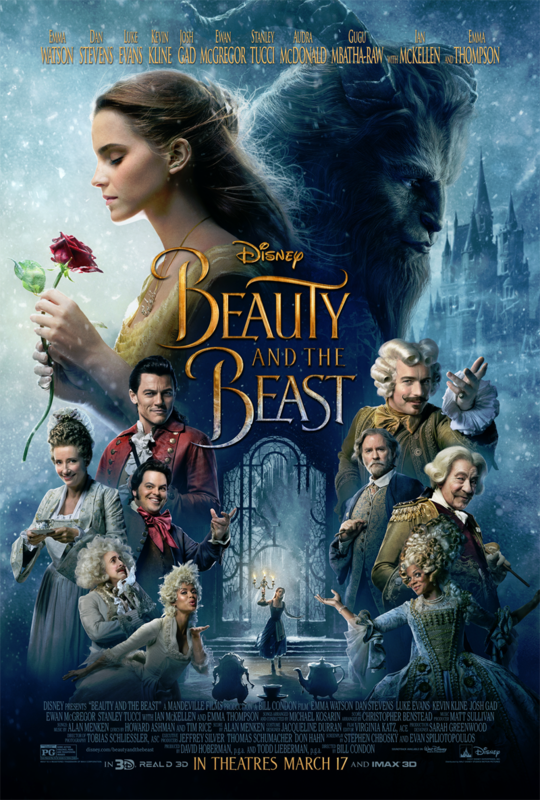 Her father, Maurice (Kevin Kline), stumbles upon an old forgotten castle where he becomes imprisoned by the Beast (Dan Stevens) for trying to pick a rose to take back to Belle. Belle realizes something is terrible wrong when their horse, Philippe, comes back to the village alone. It is then that Belle is off on an adventure like no other to find and save her father. Of course, you’ll have to head out to theaters to learn the rest of the movie! In the village we also meet Gaston (Luke Evans), a chauvinistic, sexist, selfish villain who wants to marry Belle. And his sidekick LeFou (Josh Gad) who has a has a blind devotion to Gaston. These two characters are a very important part to the movie and have a very theatrical scene with a fun song. The movie also has many CGI characters that are part of the forgotten castle including Plumette (Gugu Mbatha-Raw), Madame Garderobe (Audra McDonald), Lumière (Ewan McGregor), Cogsworth (Ian McKellen), Mrs. Potts (Emma Thompson) and Chip (Nathan Mack). We all know these fun characters as the living household furniture and tea set. Director, Bill Condon, along with composer Alan Menken, also created the music for the original film, have created a masterpiece. The cast is of only the highest caliber and the music is very well done. The costumes were gorgeous and the set was magical. The movie was even better than I had imagined! Head out to theaters this weekend for Beauty and the Beast for a live-action re-telling of the Disney’s animated classic. You’ll be taken on a fantastic journey with Belle has she befriends the castle’s enchanted staff and looks beyond the Beast’s hideous exterior to realize the kind heart and soul of the true Prince within. It is absolutely magical! The perfect movie for the whole family! 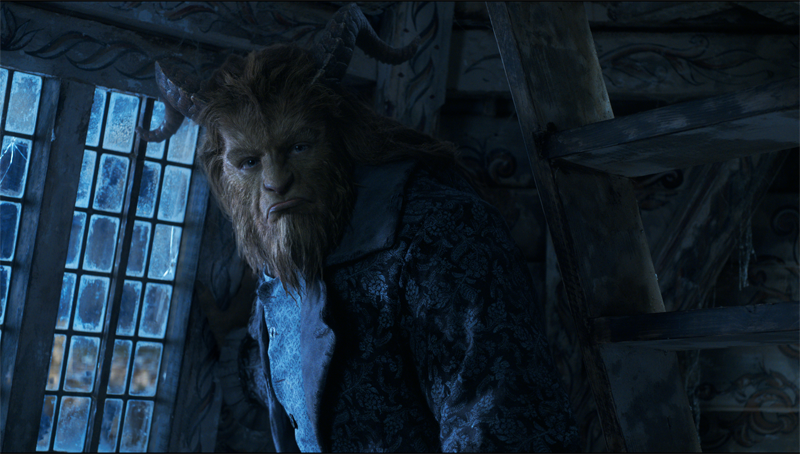 Beauty and the Beast is in theaters everywhere now!